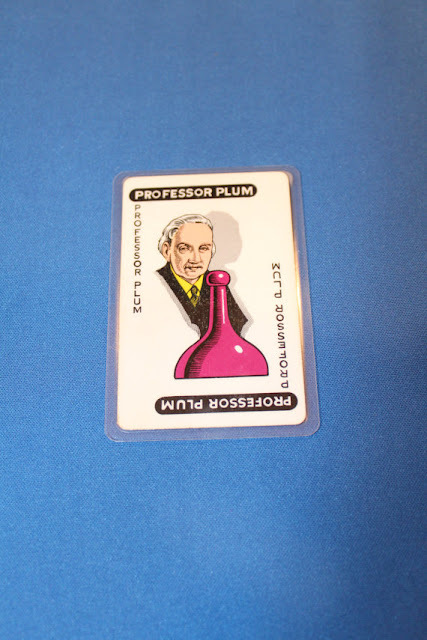 Last Monday we covered fun paperback books (and one hardback) to put into a mystery lovers stocking, and this week we're covering other items for book lovers. Over on her Etsy store, Pattie Tierney has a slew of creative mystery-themed bracelets that are to die for. 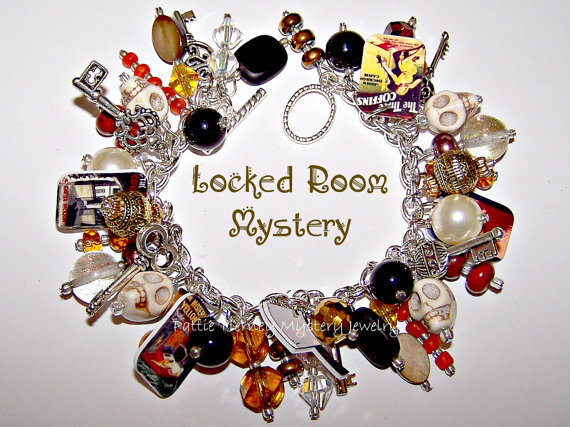 This locked room bracelet is my favorite, but you'll also find Trixie Belden, Mystery Writer and Ellery Queen themed bracelets just to name a few. I've covered these before, but here they are again because I love them so much, the themed candles from the Flame Noir Candle Company, especially Hercule's Christmas. At the Crime Scene Sisters' Etsy shop, you'll find this fabulous Clue game pocket mirror, which is the perfect price and size for a stocking. 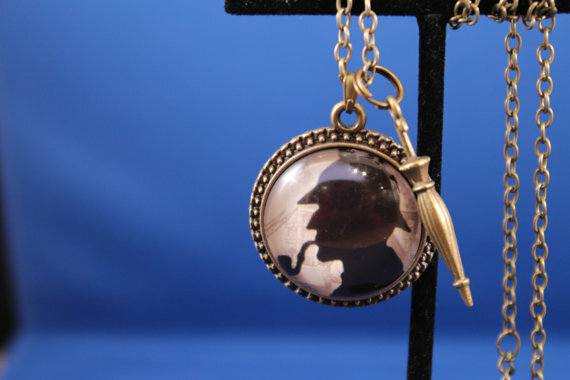 And an array of Sherlock jewelry and tote bags. 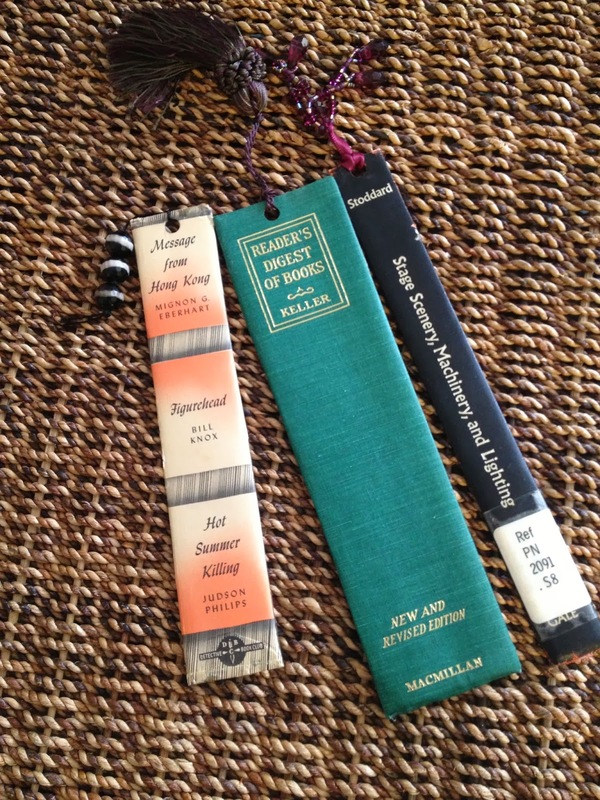 If you'd rather make some stocking presents, you could start with these bookmarks. Thanks for featuring my bracelet in this wonderful post! I found some things that I can use here, so I'm anxious to start browsing. I finally got my Sherlock Holmes tree up and am shopping around for more Sherlock ornaments, so if you happen into any of them please let me know. I saw your wonderful Sherlock tree on Instagram - so much fun. There's a Snoopy dressed as Sherlock Hallmark ornament that can be found on eBay. That might make a good addition. This bracelet is definitely to die for. I love the bookmarks as well. 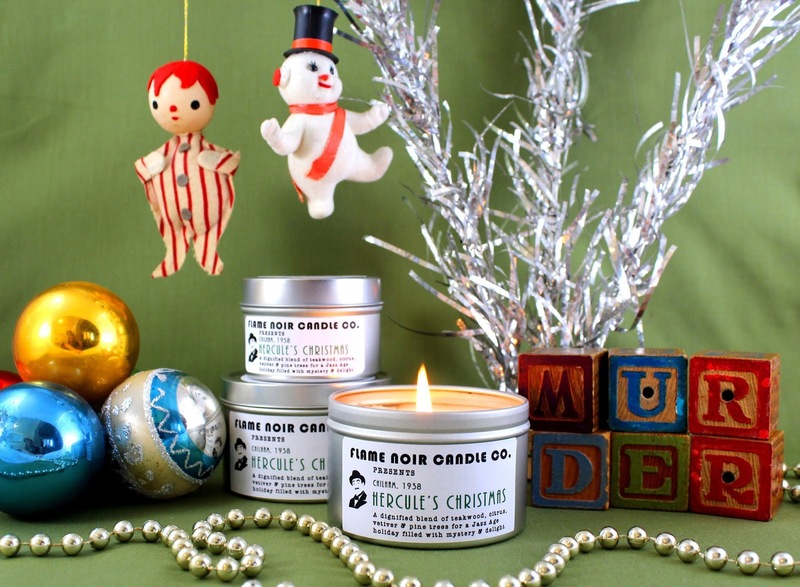 All wonderful stocking stuffers and I hope I am luckily enough to get one of them.